Unfortunately, Illinois’ economy has been split in two, one part with modest growth, the other in decline. There are areas within 90 minutes of O’Hare Airport that compete with other expensive mega-cities around the world. Thanks to access to global transportation infrastructure, first class universities, and world class cultural amenities, white-collar communities in the Chicago area have mostly been able to overcome the financial mismanagement that is now strangling Chicago and Cook County. But it’s difficult in the rest of the state: Harvey, Blue Island, Kankakee, Rockford, East Moline, Peoria, Decatur, Danville, Mt. Vernon, and Marion. Those communities have to compete with other states like Indiana, Wisconsin, Iowa, Tennessee, Texas and South Carolina. And too often, we’ve been losing. In recent years, we’ve lost more than 300,000 manufacturing jobs. Many of you have argued that we shouldn’t try to compete with other states, because that would be a race to the bottom. Well, the numbers prove otherwise. Factory workers in Indiana, Wisconsin, Iowa, Tennessee, and South Carolina, when you adjust for the cost of living, now make more than workers in Illinois. That’s unacceptable! Factory workers in Texas are now making more than Illinois folks, even without adjusting for the cost of living. That’s outrageous! We should be kicking Texas’ tail! But the numbers don’t lie. We are losing the race for good paying jobs. Fact check: Rauner bases this claim on the most recent U.S. Census Bureau data, but that’s 2 years old: He’s actually comparing 2014 with 2006. In 2014 dollars, the average Illinois household income did fall from $57,150 in 2006 to $54,916 in 2014. But take that drop with a healthy pinch of salt — it’s well within the large margin of error built into the Census Bureau’s calculations. It’s entirely possible the average family made more in 2014 than it made in 2006 and that it’s making more now than it made in 2008. What numbers do and do not say is a tricky thing. The first part is manufacturing employee salaries. I do not know what percentage of Illinois population is manufacturing, but no one in my home is in manufacturing. I pay high property taxes (and of course would prefer to pay less) but they are based on the value of the home and b/c of Ill property tax structure where i live in the State which has no manufacturing. Any consideration of the application to the equation of property taxes should be adjusted accordingly if tying it to manufacturing incomes. Great argument to organize and bargain collectively for better wages and working conditions. Given time I thought Rauner would come to his sense. The National Association of Manufacturers has state-by-state figures regarding employment, wages and manufacturing growth. For example, NAM has average annual manufacturing compensation at $82,359 in Illinois, $73,485 in Indiana and $65,767 in Iowa. Are you really better off making nearly ten grand less a year in Indiana, and nearly seventeen grand less a year in Iowa? As to the state’s role regarding the “cost of living,” does the governor have some proposal regarding that? Does he have some plan to lower average home values, or something? Politicians, the Governor included,need to drop the fantasy of bringing those lost manufacturing jobs back. They aren’t ever coming back. Manufacturing doesn’t need manual labor like it did 100 or 50 or even 20 years ago. Automation and a small number of higher skilled operators is all you need. He’s fighting fundamental changes in the manufacturing labor market that no government can change. The house values in Chicagoland are greatly inflated compared to downstate. Could this be one of the big reasons people are leaving: to find affordable housing? state employee. And I suspect there lies some of your state migration causation. again how do our property tax rates compar to CA, Fl and NY. We are the 5th largest state, we should compare ourselves to the other large states. we are not comporable to states ranked 15, 20 and below in size. apples to apples people. Now that said if you compare us to our comporables we are still one of the worst in terms of tax to value of property. Why should Texas be the example and not say New York? Lower than average unemployment, added a ton of jobs this year - has many of the same issues (megacity in one corner, large rural areas elsewhere). Texas has the highest rate of uninsured (nearly 25%) vs IL’s 10% and NY’s 9%. 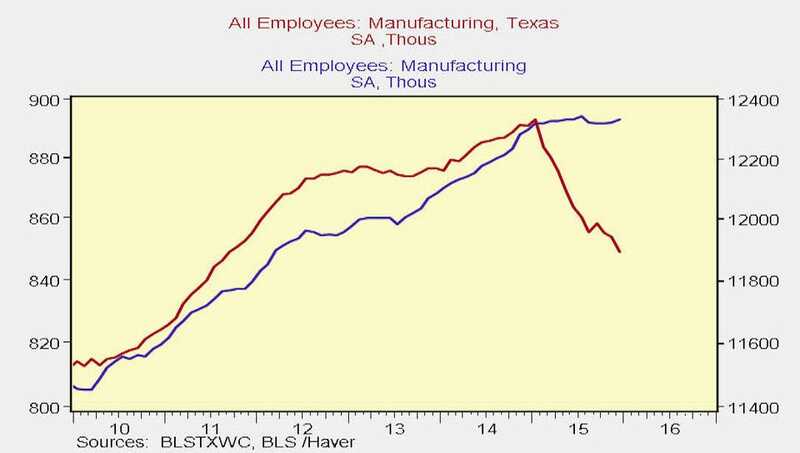 Point is there’s more than one way to skin the jobs cat and the Texas model is not the only model to follow. If the Governor wants to bring back manufacturing jobs to Illinois, he might want to stop all the negative talk about the business climate in his remarks. You can’t draw any new businesses if all you do is put Illinois workers down all the time. What portion of school funding comes from property tax receipts in this group of other states, I I K M W? Are there any states in group that have 0$ from property tax for schools? If so, let’s head that direction, please. Are all those jobs nonunion? Just sayin’. One other thing about Texas - they’ve been riding a commodities boom for 10 years. Oil collapsing has really hit their economy hard - growth slowed to .5% last quarter. With the oil bust in full swing how good are they going to look in a year? Texas is a bad state to compare Illinois to because of the oil industry. Ohio, Iowa, Michigan, Wisconsin, even PA and NY are much better comparisons. And Illinois is beating most of those states. Wisconsin is near the bottom of the list for new job growth. If Rauner wants to follow Scott Walker’s path, it will increase the deficit, harm the schools and universities and not improve the job situation. Okay, Governor, then why don’t you focus on the cost of living BEFORE a you pull the rug out from under Illinois taxpayers and lower their income? Let’s see appreciable results on THAT. I love how everybody here is so open-minded and forward thinking. Much like your Dear Leader up in 300 Capitol, it’s obvious how you’re all ready and willing to compromise. Yes, Illinois has lost manufacturing jobs and so has the rest of the country. According to the Bureau of Labor Statistics, in 2015, manufacturing accounted for only 9% of the jobs in this country while the service industry accounted for 86% of the jobs. To hold the loss of manufacturing jobs up as the primary sign of our state’s employment weakness is a false argument. W.F. Buckley, yes because pointing out how flawed Rauner’s example was is being closed minded. Um, you might want to look into this more. In what way is Illinois beating those states? Because, WI, IN, IA, PA and NY are all at peak employment. IL is not, nor are MI or OH. Illinois is at the bottom of the barrel. Saying property taxes are high because home values are high is an oversimplified, misguided notion. Home values simply relate to the proportion a home owner pays in property taxes in relation to his or her neighbors. But the aggregate amount of property taxes levied relates to the amount of government spending. If there are a total of 100 homes in one community, and every home is valued exactly at $250,000, and in another community of exactly the same number of homes, and all of those homes are valued exactly at $500,000, and all the governments in both communities levy an identical amount, homeowners in both communities would pay an identical amount of taxes. Of course this is a very simplified example, including it assumes no other land uses (e.g. commercial, agriculture, vacant land, etc.). Very true, but much of the country is seeing manufacturing job growth now. Of course, Illinois is not. Things need to change folks, ever increasing taxes and continued coddling of unions aren’t gonna work. Tone, Rauner wasn’t talking about employment either. Frank Manzo IV of the Illinois Economic Policy Institute here. The “point” of the top tweet was not to disprove Rauner. He is right when he notes that there are essentially two labor markets in Illinois. That’s mostly a result of the growing income inequality facing our nation as a whole, but of course many state-level policies contribute as well. The post was merely to point out that blue-collar manufacturing wages were growing faster in Illinois than in Indiana. Indeed, the starting points for each suggest that manufacturing wages in Illinois were always below those in Indiana after adjusting for the cost of living. But the inflation-adjusted hourly wages are closer now than in 2012, before Indiana became a right-to-work state. Economic data isn’t zero-sum. It wasn’t disproving his claim; it was adding more information to it. Can’t say all that in 140 characters. Worcester, MA had job growth of 2% in 2015 with an unemployment rate under 5%. Springfield, MA had job growth of 1.9% in 2015 with an unemployment rate of 5.1%. Decatur, IL had job losses of 1.8% and a 7%+ unemployment rate. Peoria, IL had 0% job growth and a 7%+ unemployment rate. Rockford, IL had 0% job growth and a 7%+ unemployment rate. Seems like in the Governor s own data, Illinois workers are paid more. The adjustment for the cost of living simply accounts for the fact that it is more desirable in Illinois vs. Those other states, reflected in higher housing costs. At least for the state on the whole. There are surely individual city differences in desirability. This data is admittedly a bit old, but “production, transportation, and material moving” jobs in Illinois are more concentrated outside of the Chicago area. You can see it visually in this map (http://tinyurl.com/hhhwujh, click “Start Exploring” and it opens up). The darker the shade of green, the higher the share of production and transportation jobs in each county (in 2010). Outside of the Chicagoland area, the cost-of-living is actually below the national average. We reported data on that a couple of years ago here, Page 18: http://illinoisepi.org/countrysidenonprofit/wp-content/uploads/2013/10/ILEPI-Policy-Brief-The-Benefits-of-Doing-Business-in-Illinois2.pdf. So it is unclear whether average manufacturing incomes should really be adjusted by the aggregate state-level cost-of-living index in the first place, since those workers are concentrated outside the highest-cost area. Unfortunately, state-level data can only take us so far. A complete analysis likely has a lot more gray areas than the Governor and other policy groups suggest. Could you give us a few examples of Illinois policies that contribute to income inequality here? Our property tax system is a mess. It badly needs fixing along with eliminating many layers of local government that have taxing authority with little transparency. I fundamentally agree with Governor Rauner on this point. However, it’s just wrong and misleading to talk about how high our property taxes are as a state without adding in state income taxes to that comparison. Many low property tax states have much higher income taxes to support those same systems. It’s in invalid argument to only look at half the equation. Just one nod here to keep in mind is that unemployment rate can be a seriously misleading statistic, wielded in _isolation_, as to measuring the health of a state economy. Unemployment rate again is based upon people actively seeking for work. To put it another way, if your state is becoming a kind of retirement home, meaning no one young is moving there and looking for work, then your unemployment rate might look great. But you’re not in good economic shape. I throw this in not to directly rebut all of Rauner’s claims, just to point out one way that any isolated stat / talking point can be manipulated. The state should really get rid of the state property tax. When you look at studies like this, keep in mind the difference between the average (also called the mean), and the median. The average household income is simply the total income divided by the number of households. Because of the outsized gains of the rich in recent years, this measure has tended to increase in a way that does not represent the households in the middle. A better measure of the middle is the median, which is a “middle” household — equal numbers above and below. This number is affected very little by the outsized incomes of the rich. As a result, this measure of income has tended to lag behind the average income. For manufacturing wages the mean (average) is probably a satisfactory measure of the middle. BTW it’s curious that Rauner would say that $35,000 a year is a “good-paying job” since he made nearly $60 million last year while also running for guv. That’s probably at least $35,000 an hour. Using statewide numbers here compared to our surrounding states is going to skew things. The others don’t have such a large discrepancy between their major city(ies) versus the more rural areas. Davenport or Cedar Rapids or Waterloo vs Des Moines isn’t the same as Rockford or Moline or Decatur vs Chicago. And Illinois has a lot more people in those small to mid population areas being left behind than do our neighbors. Aside from a few pockets, who in downstate Illinois has really prospered in last couple of decades. At best, maybe Bloomington-Normal? Certainly not Danville, Decatur, East Moline/Moline Rockford, Freeport, Quincy, Rockford, Sterling-Dixon-Rock Falls, Charleston-Mattoon, Macomb… you know, nearly anything south of I80 or west of I39. Yes, Gov. Rauner, your own executive branch. You know, the branch that you refuse to adequately fund. I understand these facts are going to cause confusion, anger and then madness, but…did you know Indiana has ten percent fewer manufacturing jobs than they had ten years ago? Manufacturing jobs have left Indiana? Yes. And as you can see from the graph, three years before WTR passed, the jobs recovery from the recession had already begun and continued on the same growth rate. WTR has not accelerated job growth in Indiana. Facts are a pain in the rear to those Figurers. Forgive me, but I checked out right there. It’s not bias, or if it is, it’s smart bias. In our fast-moving information age, I don’t have time to fact-check the fact-checkers. I’ll go some place with higher standards where I don’t have to worry about how the statistical sausage is getting stuffed. The Gov. needs to keep his focus on non-union busting and bashing ideas that actually have something to do with our business climate such as workers comp and tort reform etc. Pull out the union bashing and get a grand compromise on a budget with cuts and revenue and some structural changes, but stop the crush the state worker crap and stop trying to end run the constitution on pensions. Due to the budget impasse, over one thousand jobs have been lost in social services since July 1st. Aren’t these jobs just as important? I agreed with the part where he drew a distinction between the thriving economy in Chicago and tougher economy in the rest of the state. I really do believe that local control would solve that. Chicago would never vote for those parts of the Turnaround Agenda but he parts of the State that are struggling because they have to compete more directly with our neighbors probably would. I also thought the point about more needing to be done on Workers Comp was correct. If the 2011 changes fixed everything, why are we losing all of these manufacturing jobs to our neighboring states 4-5 years later? Tone or anyone, what is the MEDIAN stateworker salary? Let’s play fair. You can’t put median income against average income. I don’t know the figure. I looked for it the other day but didn’t find it. Who knows what it is. It might be even higher than the average. We have the smallest workforce and also a LOT LOT LOT of workers close to retirement. I just want to compare apples to apples. But median to average is not statistically valid. Here are historical state medians. I have no idea what the median state worker makes. I bet Madigan doesn’t want that to be public. still a punk huh richy? Here’s a link to all current workers’ compensation on the Comptroller’s site. would take some work, but some stats could be generated from this database on median incomes. Could even break it down using more metrics.